In this era of technological advancement, the need for storing data and processing them is a vital issue. In earlier days, there were no such technological advancement and computers were used for numerical operations. But now, the scenario has changed. Now we are in the age of big data. The arrival of big data technique has resolved the problem of storing huge information. But the story doesn’t end here. After storing the data, the need for processing such huge data was also felt. And then, data science came into the picture. In this article, we will be talking about what is data science and who is a data scientist. Also, we will cover the need for data science. You can understand data science as a process of extracting useful information and knowledge from data. 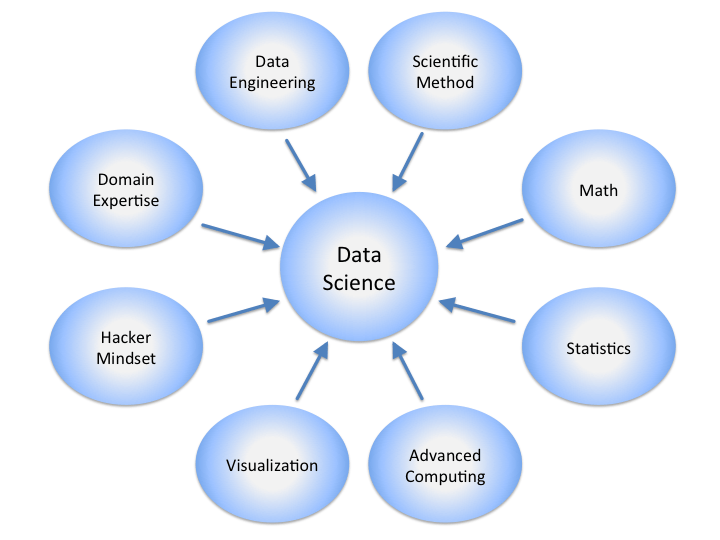 Data science is a multidisciplinary field that means it has the contribution of many fields. These fields are as statistics, machine learning, algorithm and many more. We need a blend of domain expertise and software engineering along with the statistics for the end-to-end analysis. Now the end-to-end analysis of data means to gather the data, store it and process it for finding valuable information. It also deals with the condition where data is small, big or semi-structured or unstructured. In the world, there are so many data. Everything around us has data. People walking down the streets, kids playing, traffic signals turning green to red, talking on a phone, watching the match and many more; all of these comprises data. So, when we have so much data, then we must utilize it in some way or the other. The information can be utilized to get clear and useful insight for further use. And therefore, data science helps us in getting insights or say, useful information from the data. The name itself says the meaning. The data scientist works in the field of data science. Data scientists construct and make calculations, predictions use figures and information along with machine learning. A data product is developed by data scientists after analyzing and working on the data. The foremost consideration is on the data rather than the coding. They perform the investigative study to find out insights from the data. They make use of various highly developed machine learning algorithms for identifying the happening of a meticulous occurrence in the future. They observe and analyze the data from different perspectives. Prediction: With the aid of pattern detection, we can carry out the prediction. The best example is of sports. During a sports match, lots of data on the television set represents scored by teams and players, and much more. With the help of such records, predictions can be done about how the team will be playing or what will be the upcoming circumstances. Pattern finding: This can be stated with a case of ABC confectionery shop that experiences the massive number of purchase throughout the month of Festivals. Moreover, during these months, the purchase of specific sorts of sweets are increased during this time. So, we can find out of sight pattern from data of that shop. We can acquire knowledge from the pattern within the data and can take actions accordingly. These actions can be of use for business improvement and for earning profits. Pattern detection, on the whole, is the supervision of the user’s interest and then taking appropriate decision. Product recommendation: These days online shopping from e-commerce site is quite popular and people feel it is secure and more happening. Also, we must have got some recommendation of adding people on our social media accounts, just because the recommended person is also connected to the person, with whom we are connected. So, these are the type of recommendations that we can get with the help of data science. Moreover, sometimes it happens that we get information or alert about the person who is trying to get unauthorized access to our data. This can be achieved with the help of analyzing the pattern. Analysis of the market: Finding the intended customer with the help of data science is an easy task. One can easily find who are interested in purchasing a particular commodity. Following to which we can make the strategies of marketing. The need for data science has increased its popularity and will make it grow popular in upcoming days. So, these were all about the data science basics, the applications of data science.